So, you’ve decided to go low carb. You’re watching what you eat. Funny thing is, the weight just isn’t coming off as fast as you’d like. In fact some days nothing seems to be happening. So, what could the problem be? Well, any weight loss problem has to do with your fat cells. As long as cells can break down fat and release it, you will begin to lose weight. There is a little thing called hidden carbohydrates that will stymie this process every step of the way. 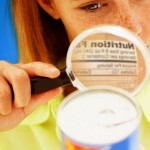 Simply put, they are sugar sources that are hiding in everyday, “healthy” foods. 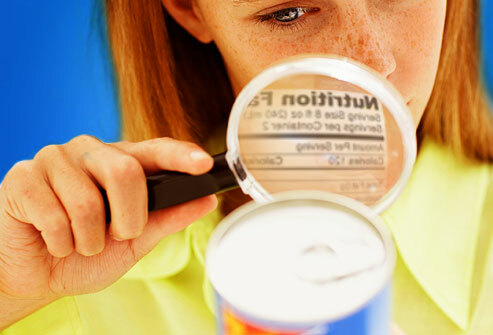 Many foods have modified food starch listed in their ingredients. Modified food starch is nothing more than good-ol’ flour. There’s your main culprit. Hidden carbs can have a huge impact on your losing weight now that you’re following a low carb, gluten-free, or paleo lifestyle. That’s why it’s so important to know about and identify hidden carbs in your diet. This is KEY to losing the weight. The first thing you can do is to identify hidden carbs by their names. When you read food labels and you feel like you need a PhD. in medicine to figure out what those unpronounceable words are, then you know you’ve got a problem. Look for words like ‘maltodextrin’, ‘modified starch’, and ‘powdered cellulose’. Look for all natural ingredients listed and then you’ll know that what you’re eating is really good for you. And it will take the weight off. As for foods that have lots of hidden carbs, there are many. When you begin a low carb diet, the first things you want to do is to limit your intake of breads, pasta and cake. Quite a few items that you’ve probably been eating right along. Coconut or almond milk are great milk substitutes, yet the flavored varieties carry lots of hidden carbs due to the extra sugar. Salad dressings are best if you make your own. Protein bars are not always low carb. Of course, LC Foods carries hundreds of products, that are designed to be healthy replacements to these misleading “over-the-counter” products. The best way to be successful at losing weight the low carb way, is to educate yourself about just what is in all foods that you plan to eat. Keep it simple, and you’ll be on your way to waving goodbye to all those hidden carbohydrates. Eating LC foods is half the battle. When something grabs my interest at the grocery store, I immediately read the label and check the carb count. Nine times out of ten I put it back on the shelf. It is easy to do when I can have homemade pizza, tasty bagels with salmon and cream cheese, cinnamon toast, (makes great french toast by the way), and assorted crackers ready made. And with very little effort I can have baked goods for desert. A slice of their whole grain bread, toasted with some avocado slices is a wonderful breakfast, and so filling. And all of the above is so low carb it is almost unbelievable. So avoid the hidden junk on grocery store shelves and make your own meals using the LC products.